My life has changed considerably over the years but the bookstore remains nearly the same. Yes, there’s a poster hung near the back entrance advertising I-Pads. There’s a tech center selling computers, printers and other electronics up the stairs, next to the gift wrap counter which has served shoppers for years. People walk around the store with cell phones. However the parking at the back of the store is as it was 30 years ago, an attendant offers a ticket for validation if you spend $5 or more. As you enter through the back of the store, you will find text books on the lower level off to the right. This area looks still utilitarian with its rows of shelves labeled with the subject. 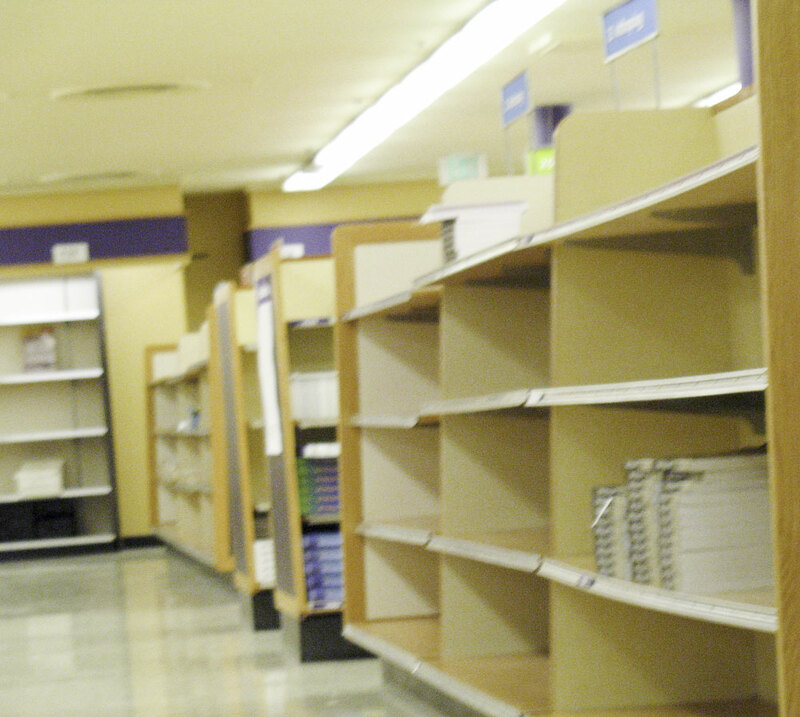 Today, many of the shelves were nearly empty because fall term is almost over. I found the economics section and remembered how expensive the econometric text books were. For example, “Time Series Analysis: Forecasting and Control” cost $32.95 and that was back in 1977! As I walked out the text book area, I found myself in the art supplies section, always one of my favorites. Sketching tablets, paints, pastel pencils and an enormous array of office supplies lined the shelves. In the past, I’d enjoyed browsing in this part of the store and imagining my personal art studio. I headed upstairs to the main floor where I found the section devoted to UW logo wear. Purple tee shirts, sweatshirts, husky caps, and cheerleading outfits fill the shelves. The magazines, candy and cosmetics are where they’ve always been. The small café in the back of the store did not exist when I was a student. I wish it had, I would have sat at one of the tables to read. Now students sit at the tables with their laptops checking email. The rest of this floor and the next level contain books on gardening, cooking, architecture, poetry, politics, and history and on and on. Over the years, I’ve spent hours browsing these shelves. I headed for the cook book section to check out my book and to prepare for my book signing event scheduled for Wednesday, December 1st, at 7 p.m.
Browsing the cook book section, I looked for my book, finally spotting it sandwiched between Greg Atkinson’s “Entertaining in the Northwest Style: A Menu Cookbook” and Jerry Traunfeld’s “The Herbal Kitchen: Cooking with Fragrance and Flavor.” My small, beautiful book had found excellent company. 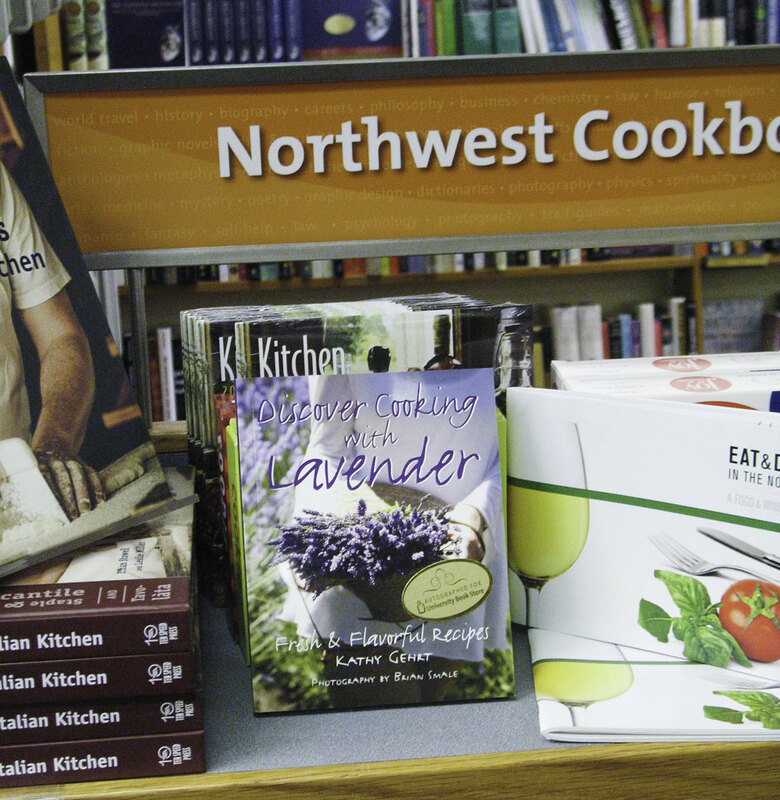 To get a quick photo, I pulled my book out and placed it on the shelf tagged Northwest Books. As I snapped a picture, I smiled at the thought of my book here in my favorite book store. Tomorrow, I will have realized my dream of returning to University Book Store as an author. As I walked to my car, once again I thought of change. The bookstore with its same look and feel caused me to realize how much I had changed since those days when I was a student. My interests had gradually, but unmistakably, shifted from economic analysis to food, cooking and writing. I felt happy that I had been able to study at one of the finest universities in the country with an exceptional economics faculty, and even happier that I’d had the pleasure of working as an economist, a business executive and now as a culinary writer. Please come to University Book Store on Wednesday, December 1st at 7 p.m. to learn more about my journey from the dismal science to the world of lavender and herbal cuisine. I’ll be sharing some ideas for creating easy, elegant and economical gifts for the holidays. Susan Harrington might be the most satisfied executive in the Pacific Northwest. Eight years ago, she left 20 years of business leadership behind and followed the lure of lavender. Today she along with her husband and business partner, Jack (The Assistant Lavender Wrangler) manages Labyrinth Hill Lavender. Susan is doing what she was meant to do. She is a lavender grower, CEO (Chief Education Officer) and marketing professional. Susan Harrington visited Sequim in 2000, one week before the Sequim Lavender Festival. Susan and Jack stopped at the gift shop at Purple Haze Lavender. “Michael Richter handed me a bundle of fresh lavender. I bought one small lavender plant, the cultivar was “Fred Boutin,” said Susan. That was the moment when her dream of growing lavender took hold. Susan completed the Master Gardener certification in 2001. She read and studied about growing lavender. 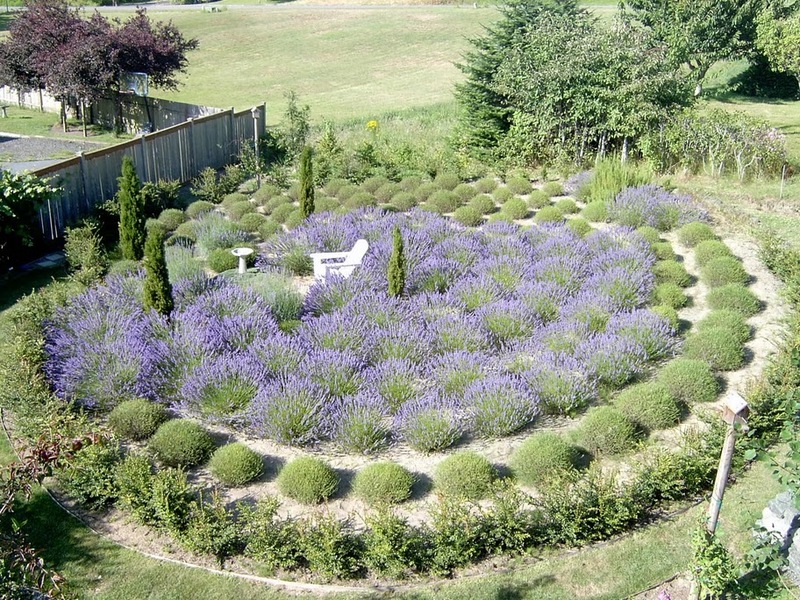 Then in the spring of 2002, Susan removed the blackberry brambles and Scotch Broom and planted lavender in a labyrinth at her Hansville home located in Washington state on the northern tip of the Kitsap peninsula. In the summer of 2003, Susan sold fresh bundles of lavender at the Farmers’ Market, joined Local Harvest and continued to cultivate her lavender. Susan, also, set up her website http://www.labyrinthhill.com/index.html and started an online store to market her lavender. Always interested in sharing her knowledge, Susan developed and presented a course titled “Lavender: From Soil to Sachet.” Susan taught this class at several northwest community colleges, and evolved this material into an online education opportunity. In the last few years, more than 400 people have completed her course. What Susan likes best about this is that the course now can be shared with people who live outside the Pacific Northwest and outside the United States, too. Her newest student lives in Nova Scotia. In late 2009, one of Susan’s Polish students translated her course into Polish. Susan created a website devoted to helping other people learn to grow lavender. The website is www.growinglavenderplants.com. Susan’s title, C.E.O. – Chief Education Officer, is made for her. When Susan is not sharing her knowledge of growing and marketing lavender, she keeps to her CEO mission by speaking to gardening groups about creating labyrinths, spreading her knowledge of marketing and helping with Constant Contact email marketing software. Now, Susan spends summers harvesting, shipping and caring for her lavender. She also is a popular speaker at the Northwest Flower and Garden Show, the largest show of its kind on the West Coast. Her presentation, “Lavender is More than a Color,” attracted a full house in 2010. Her workshop for children, “Creating a Five Minute Greenhouse” is presented on the Sproutopia stage at the Northwest Flower and Garden Show captivating kids and parents alike. 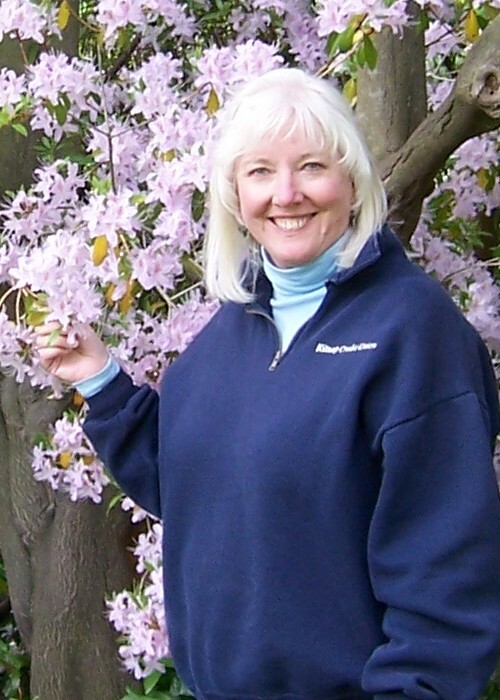 You won’t be surprised to learn that Susan has been invited back to speak at the 2011 Northwest Flower and Garden show. If you’ve missed past presentations, you will want to mark your calendar for February 23rd through 27th, 2011. What advice would you offer to people considering starting a lavender farm? Start with less than 500 plants and learn as you grow. No book, no class, no mentoring will ever prepare you completely for the real experience of growing and marketing lavender. What has been your most challenging hurdle in your quest to be a successful lavender grower? Deciding whether or not to grow by hiring employees. My husband and business partner, the Assistant Lavender Wrangler (Jack) and I made a conscious choice to remain small without employees. Instead we made the most use of technology to market our products. What is your favorite way to use lavender? Hands down my favorite way to use lavender is to walk into the garden with scissors, cut a bundle, bring it into the house and place in a vase. For me it’s about the experience growing, harvesting and enjoying this fragrant herb in its most basic form. 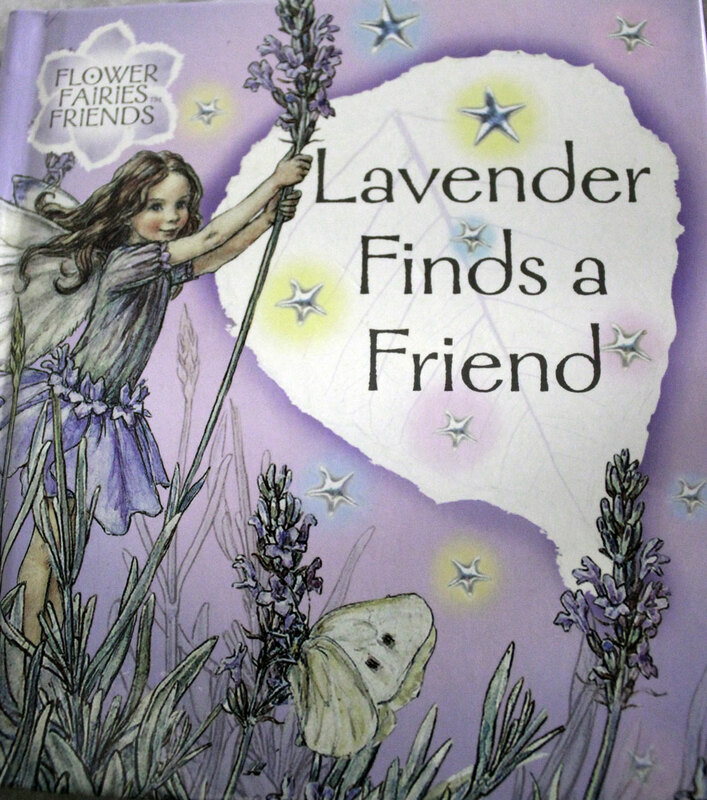 I’ve never lived in a flower garden with fairy friends; however Cicely Mary Barker’s book, “Lavender Finds a Friend” helps me to imagine the experience. The fragrance, the sounds of bees and birds and the natural beauty fills the story with vivid imagery. Sleepy Lavender gets up with the sun singing to the other fairies to awaken them. Lavender washes the fairies’ clothes. One day she is sad because she is too busy with laundry to have friends. Lavender expresses her sadness in her diary. Then she concocts a friendly fairy spell, casts it and waits for the result. Cornflower, Snapdragon and Foxglove step out of the flower bed to declare their friendship for Lavender. I love this story primarily for its sweet whimsy. Beyond that however, this story demonstrates the power of self-expression, reflection, the written word and positive action. We all have more power than we exercise. Next time I’m feeling a bit blue, I’ll do what Lavender did and cast a friendly spell. 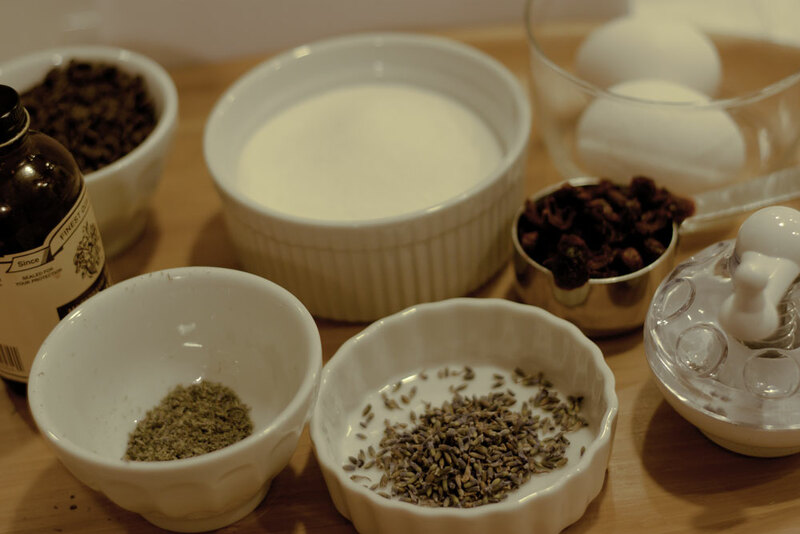 With ingredients like these, is it any wonder the spell gave Lavender exactly what she desired? p.s. I bought this book for my granddaughter when she was five years old. If you want your children and grandchildren to appreciate the flowers in your garden, learn their names and treasure their whimsical beauty, this book is a first step. When I discovered this recipe for Lavender Cloud Cookies, I wanted to drop everything and make them. Everything about them appealed to me. The recipe sounded quick and easy, not to mention delicious. I found the recipe when I was researching Virginia’s lavender farms. I’d been writing about White Oak Lavender Farm, and I was curious about what other lavender farms were located in Virginia. That’s how I found The Lavender Path. 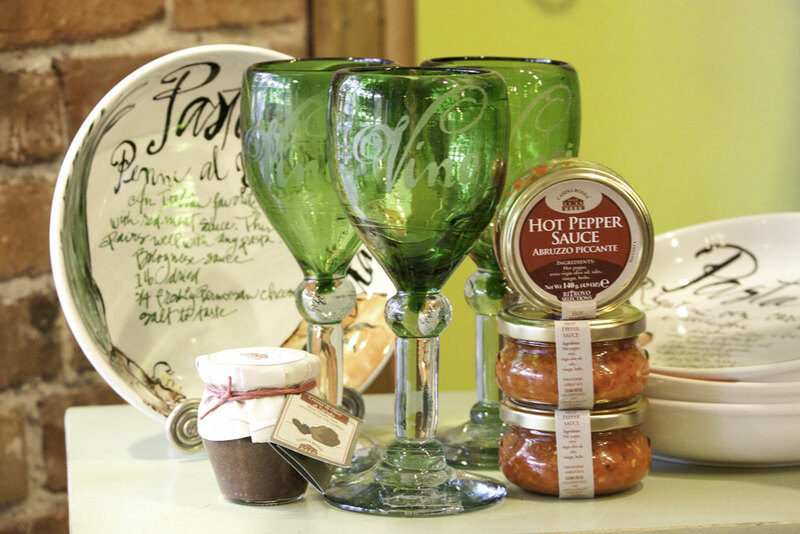 The Lavender Path, located in Lovettsville, Virginia, offers a selection of recipes on its web site. All the recipes sound as if they’d be delicious. 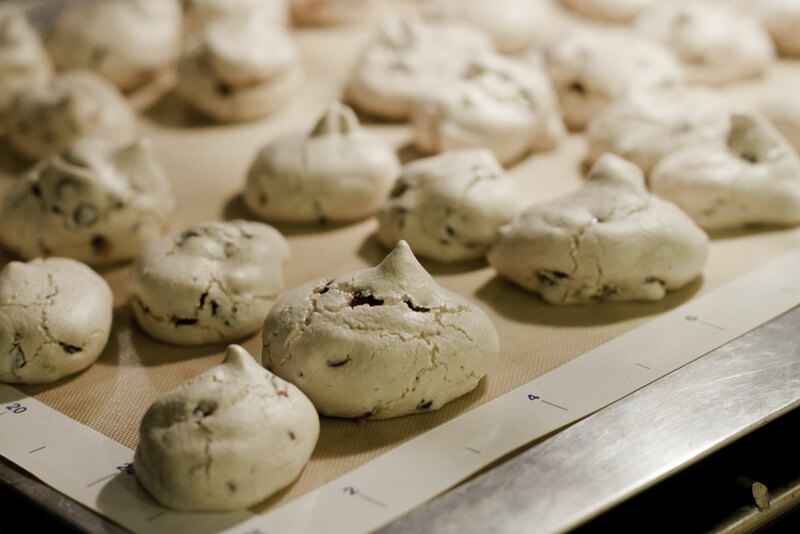 The cloud cookies remind me of meringue kisses. Both include two egg whites, sugar and flavoring. And they both go into the oven and spend the night. One of the best things about this basic recipe is its potential for adding creative touches. If you are new to cooking with lavender, this is an excellent way to give it a test drive. You will love the light and delicate texture of these cookies. Give them a try and tell me how you liked them. This recipe is from The Lavender Patch website. I love its simplicity. I used chopped cranberries along with mini chocolate chips, and used a pastry bag to form small kisses. 2. Beat egg whites until stiff.Add sugar gradually, while still beating on high. 3. Finely grind the Lavender. Tip the meringue base into a medium bowl and gently fold in Lavender, vanilla, chocolate and ginger/cranberries. Do not overmix. 5. Place in oven and immediately turn the heat OFF. Leave overnight, then store in airtight tin. Early in October, I stopped by Savour, a specialty food shop in Ballard, a Seattle neighborhood. My friend, Debra Daniels Zeller, had suggested I explore the idea of getting my book “Discover Cooking with Lavender” here. So I dropped by and met Holly the owner and showed her my book. I was thrilled when she decided to add my books to her amazing array of specialty food items and kitchen equipment. Holly also told me about her shop’s Saturday wine-tasting event. When Holly invited me to do an event at her shop on Saturday, November 20th, I immediately agreed. What a fantastic opportunity to spread the word about lavender. Life unfolds in intriguing ways. Later in the month, I was talking with my friend, Tamara. She asked about my book, and I mentioned I would be at Savour in November to talk about using lavender in home-made gifts. That’s when she told me about the cocoa she got at Savour. 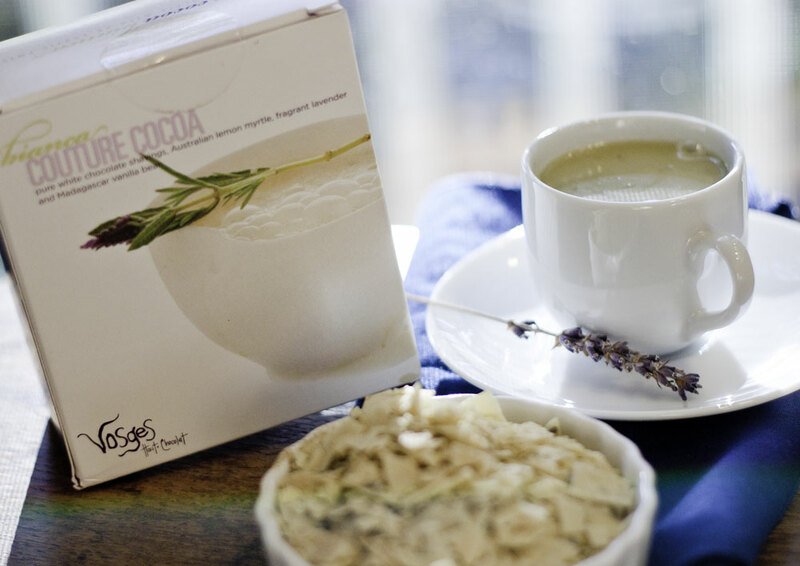 “The cocoa is made with white chocolate, lavender and it is the best,” Tamara said. I knew then, I would be making another visit to Savour. When I saw Holly, I asked her about the cocoa. Did they still have it? She led me to a shelf with a basket where there were only two packages of the cocoa. “Ah, yes. This is delicious. It is made by Vosges,” Holly said. Who could resist? I left the shop with the cocoa, a Naga bar and Mo’s Bacon Bar. This afternoon when I began to write about this chocolate, I read the back of the package around the Naga Bar on “How to enjoy an exotic candy bar” as if I needed lessons. However as I read the steps: breathe deeply, engage my senses, smell, snap, taste and sense, I suddenly found myself eating chocolate instead of writing. 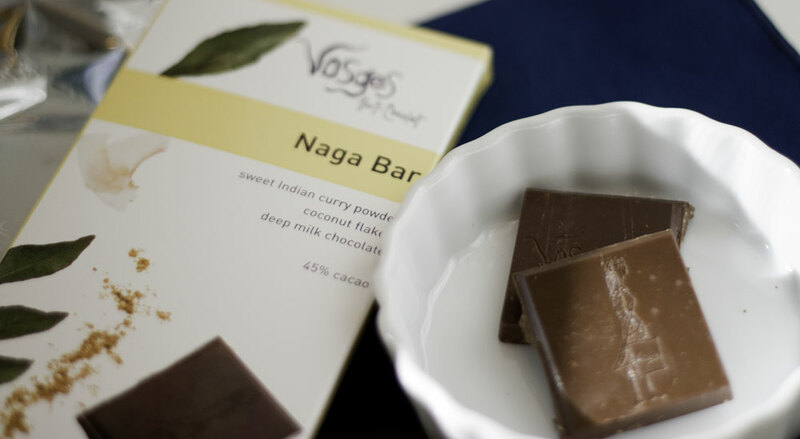 The Naga bar seduced me with its coconut flakes, sweet Indian curry and silky milk chocolate. Soon, in the line of duty, I opened Mo’s Bacon Bar. Breathing in the bacon aroma, I was not sure if I would like this. However, the combination of the Applewood smoked bacon, the smoky salt and the deep milk chocolate overthrew me. Soon I was singing Halleluiah! What about the Couture Cocoa with the pure white chocolate shavings, Australian lemon myrtle, fragrant lavender and Madagascar vanilla bean? I’m looking for words to describe this drink. These don’t give it justice, however here we go – rich, sweet, creamy, velvety, sinful, fragrant….and more. See what I mean about how one thing leads to another? How did I end up spending my afternoon sipping Couture Cocoa and inhaling the unique fragrance of bacon chocolate bars? I’d love to hear from you about the times in your life when one thing led to something unexpected or surprising. Please leave a comment. I’ll be selecting one of you who comments by 11/3 end of day to receive a lavender surprise. Hmm, maybe a special chocolate bar? or ? Sift dry ingredients into a large mixing bowl. Add butter, buttermilk and vinegar and mix well using an electric mixer. Batter should be smooth and creamy, but quite thick. 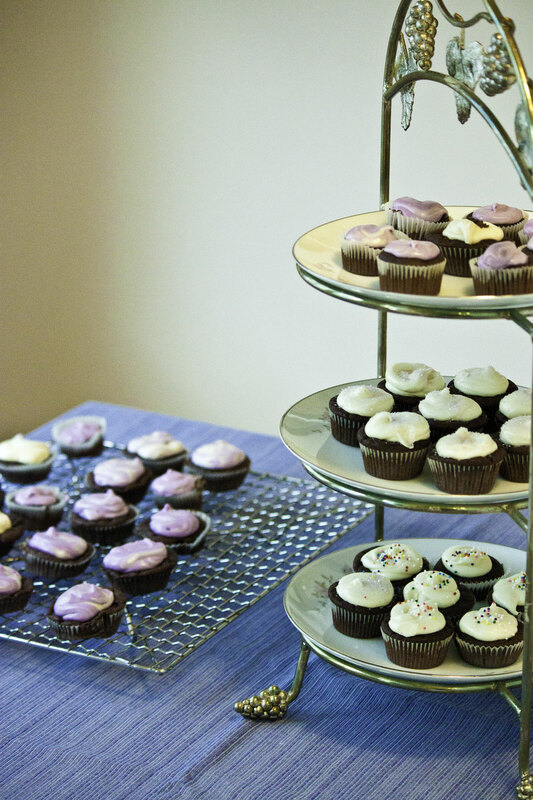 Using a tablespoon, scoop batter and fill each cupcake with a scant tablespoon. Baking time depends on what size cupcakes you are making. I made mini cupcakes and they were done after 15 minutes. Larger cupcakes will take as long as 25 minutes. Do not overbake or your cupcakes with be too dry. Test for doneness with a tooth pick. When you insert a tooth pick into the cupcake, it should come out clean if the cupcake is done. 1. In mixer, blend powdered sugar, cream cheese, half and half, vanilla and salt. 2. In double boiler melt white chocolate with butter over 1″ simmering water. Add to creamed mixture, beat until smooth.